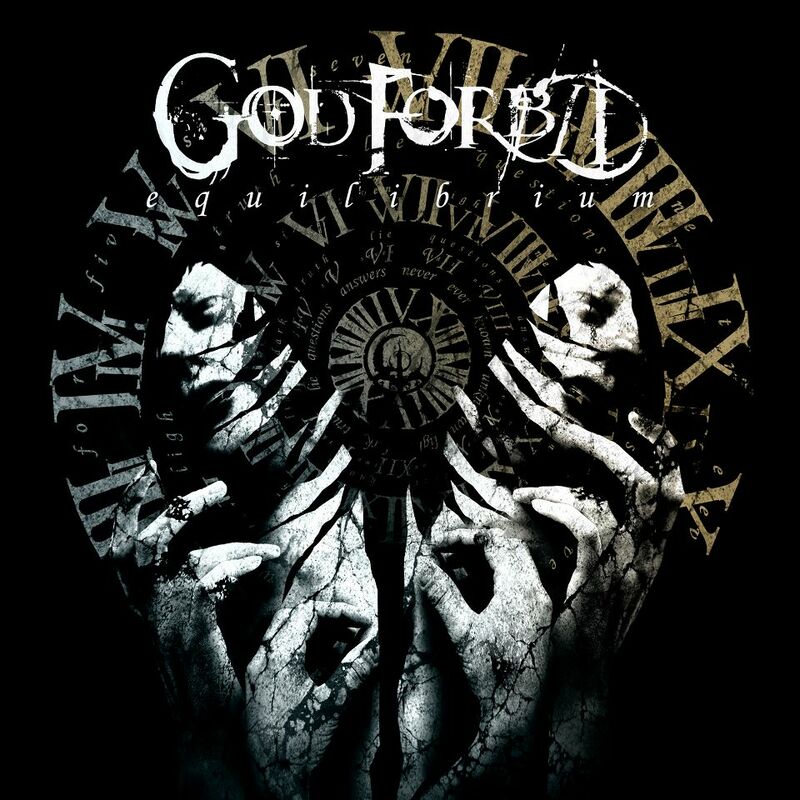 After following the recording sessions for God Forbid’s new album Equilibrium, I went out to buy the record and I was blown away. Overall I was very impressed by the New Jersey Metal veterans. I also think the production team of Mark Lewis and Jason Suecof did a great job with getting a really rounded out sound. The album features thirteen killer tracks of which all have their own unique sound. The album starts with the very groove oriented “Don’t Tell Me What To Dream” a great track featuring great bass playing and very precise drumming. The bass throughout the track really carries the groove along with the drumming. The song in places also features a really cool whammy pedal type effect which added a unique flavor to the track. The next track “My Rebirth” starts out with a really great dual solo and then goes into a very thrash-esque verse. I love the King Diamond/Rob Halford-esque scream at the 1:13 mark. At the three minute mark the track slows down and we hear some great melodic guitar playing that leads into an odd, but suspense building whispered verse. The next song “A Few Good Men” sounds like it could come off a Lamb of God album, something I was surprised to hear. The Next three tracks are “Scraping The Walls”, “Conquer”, and the title track “Equilibrium”. These three tracks are my favorite on the album because they sound nothing like any metal record I’ve ever heard. All of these songs are very melodic, but I would never call them ballads. “Scraping The Walls” is a great track that has a very melodic chorus with great multi-tracked vocals. The track builds to a guitar solo that is very melodic yet heavy. The song ends with a repetition of the chorus which brings it to a nice resolution. The next track is “Conquer” a slower song in the beginning. Eventually this leads to a great groove centered verse and melodic chorus. The only thing missing in the song is former guitarist and backup vocalist Dallas Coyle whom I think would have added a nice higher register vocal. The title track “Equilibrium” is just an all-around killer track featuring, great melodic singing, great guitar playing, and slow groove centered breaks. The next track to take note of is entitled “This is Who I Am” which reminds me of something Killswitch Engage would have written in the Howard Jones era. An awesome track nonetheless, I love the vocals they have a unique sound that only Byron can produce, and Doc’s melodic singing is great too. The album ends with the single “Where We Come From” a killer straight out metal track to end the album with. If you like metal this would be a good addition to your collection. If you’re a musician it’s a great record to see how you can vary arrangements, yet still sound heavy. If you’re a God Forbid newcomer you should also check out their 2009 release Earthsblood, which is a true metal tour de force much like this record.